As has been said, yes you can physically do it. I’ve actually done exactly that. The uppers do not line up what so ever, and all you end up with is two shoes that are ruined and far worse than what they started as. If you have an insane amount of experience with cobbling shoe and making hybrids then maybe you could make something presentable, but I don’t think it would ever increase performance. Hope that convinces you not to do it, but if not go wild! Anyone know if it’s possible to remove the logo from the Vic 3’s without cutting into the upper at all? Do you have the materials necessary? No. Does Duane Reede or any other pharmacy have the materials necessary? yes. Go get 100% acetone nail polish remover. just make sure that ■■■■ doesnt hit anywhere with glue, because it’ll melt the glue and the shoe will fall apart. 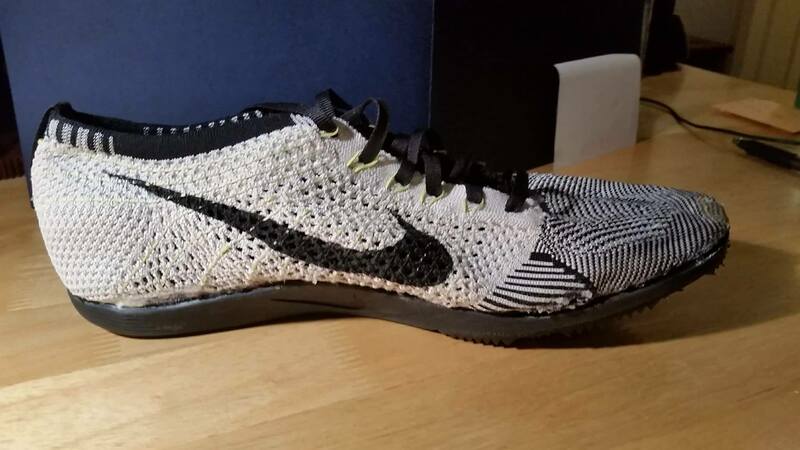 For those who created Flyknit Vics, how did you go about removing the upper on the Vics? 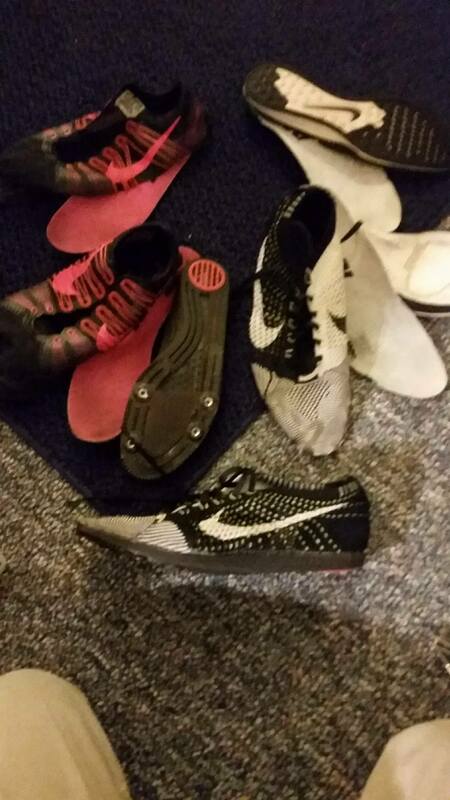 I have an heavily used pair of Flyknit Racers and used pair (ripped upper) of Matumbo 2s laying around. Planning on using hot water to remove the Flyknit upper as done by some sneaker heads, but not sure how to go about on the Matumbos. I believe (but am not certain) that people just cut the upper away. I have never done it myself so I am not the most knowledgeable on the subject. Haven’t finished mine, waiting on a pair of used racers. But getting the upper off the vic was just a matter of taking out the “sockliner” and then cutting the upper away and trimming. Much easier with OG vics cause of the thinner material and laminated flywire but I can’t imagine it would be that hard with vic2/elite either. I am going to agree with Nolan. It sounds like a great idea, but the fact of the matter is that you just end up ruining two pairs of shoes to get something that isn’t all that great. Theres a reason why pros dont wear flyknit vics. Because the regular ones are better. And if Nike can’t make worth while flyknit spikes, chances are you cant either. Not trying to smash your plans. But coming from a person who made flyknit spikes. Im just telling you, its not worth it. I would agree. If you find a pair of beat up vics and an old pair of racers it can be a cool project, but things don’t always turn out the way you want. I would never consider racing in mine. 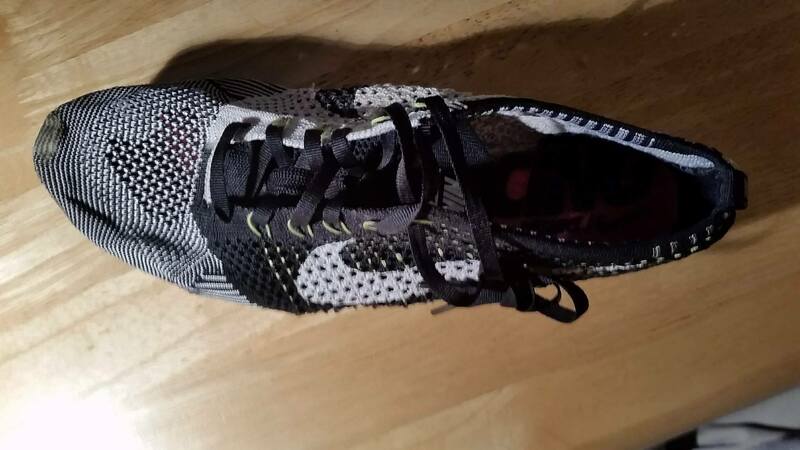 With all respect in my comments, production of flyknit spikes was cost prohibitive for Nike. Non-production or non-use by pros has nothing to do with performance of the shoe. They were an extremely limited run, and maybe as rare as anything out there. I can personally verify that Flyknit vics are phenomenal, as mine are some of the best feeling spikes I have- comfortable but aggressive. I say go for your experimental shoe creation. Be creative with your idea, but also heed the consequences. Do your homework. 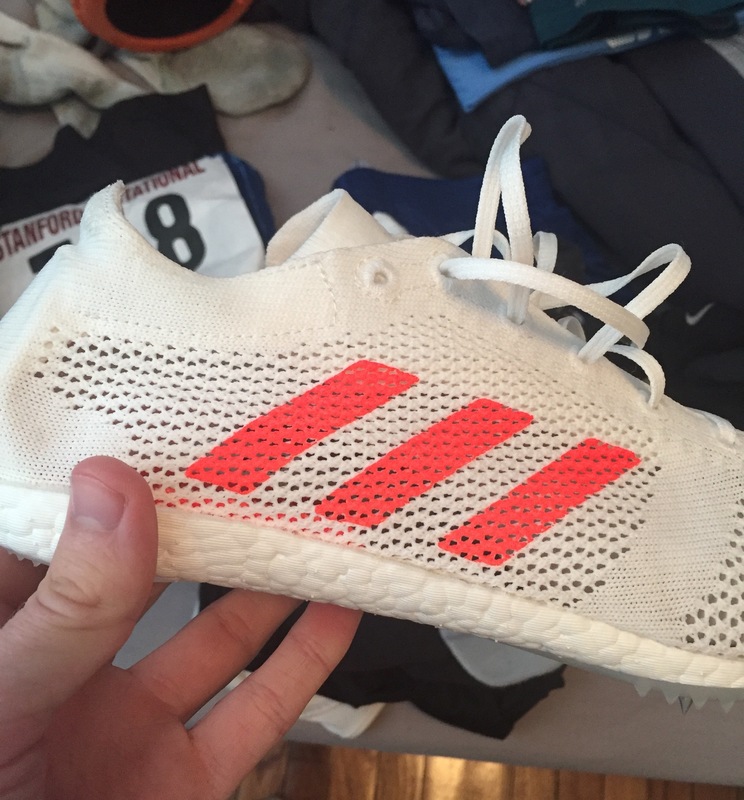 Anyone have recommendations on how to change the red of the three stripes? Looking to make them black or blue, not sure if there’s a Tracktalk Approved™ method. angelus paint mixed with gac900 should work. that’s what people use for mesh and flyknit. Sooooo I have these Vic 2 plates that I’m experimenting with. Anyone wanna see an attempt at some Streak Victorys??? Those look sweet what’s the sizes of each to get the plates to match? This got a lot of attention and I figured I would post a quick little update for those interested. The plate is too narrow for the shoe, and that problem is consistent regardless of the spike size (I’ve measured with spikes up to size 12, Vics are just too narrow). The easy option would be to just glue the entire plate to the inside edge of the shoe (see the picture above). The problem with this is that it leaves ~1cm of space on the outside of the sole, and I’m not sure how I feel about that. The difficult, but more exciting option would be to create something of a “split” plate. I could cut the spike plate in a way that would allow me to cover the “edges” of the Streak, and I think this would produce the best results. I’ve been messing with the spike plate in photoshop to figure out the best course of action. If I find a good option, I’ll upload my “design”. Also if anyone has any other ideas, feel free to send them my way. I really like that idea of the split plate. Very cool and creative. Finished one shoe of the Flyknit Matumbos. Both shoes were size 9.5. The upper was removed via Swiss knife for the Matumbo, and hot water for the Flyknit Racers. A lot of Gorilla SuperGlue was used; shoe cement would have be a better choice. I used clips to hold down the upper to the sole after the glue was applied. Have not tried these on the track yet, as only one shoe is done. So I have a pair of trashed mamba 2s and I noticed they have a decent sized carbon plate in them. 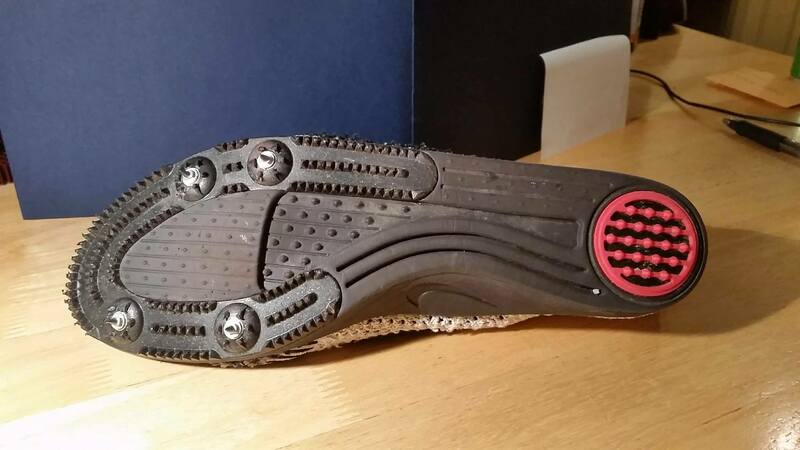 I wondered if I could integrate the carbon plate with any of my newer spikes/flats to make them stiffer. Any ideas? Maybe as a project, but I can’t imagine them being any more effective/ any better.